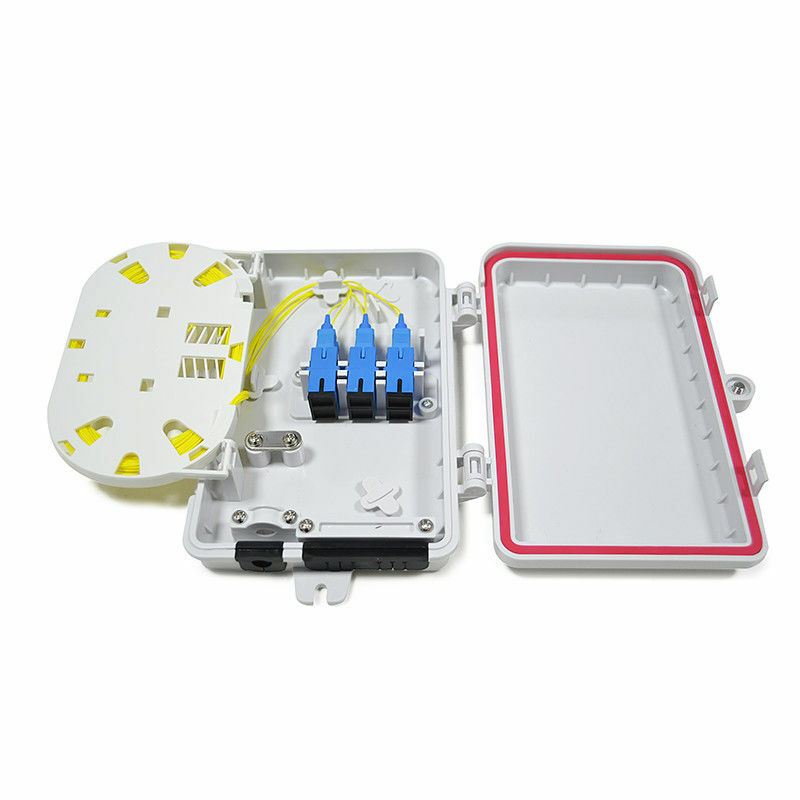 The wall-mounted optic fibre termination box allows for easy organization of optic fibre cables (up to 4 fibres, depending on the installed adapters.) The holes inside the box are suitable for installation of SC simplex adapters (connecting up to 8 fibres with SC or FC connectors, or up to 16 fibres with LC connectors). 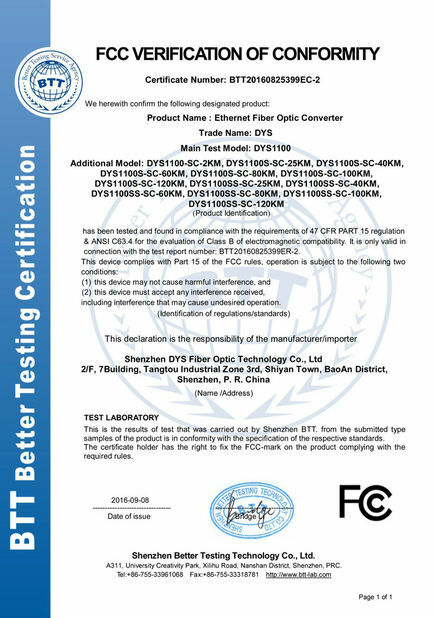 Ideal for splice and patching for FTTH application. The TBP8-001 fibre optic distribution box allows for easy and quick installation of optical fibres. It also protects splices and a splitter. In the box there is a splice tray (for 12 splices) and the place for a MICRO optical splitter. Three PG cable bushes are designed for optical cables with external diameter of 7-12 mm. The detachable outer cover is held on by clips and can be protected against unauthorized access by seals. The box is intended for wall mounting at the end of an optical line. 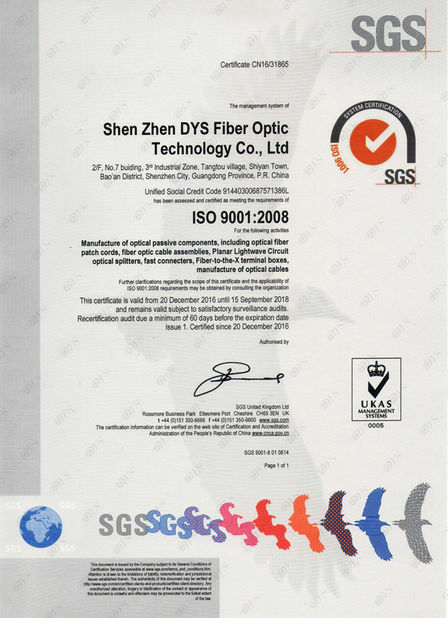 It is used in internal/externel fibre optic networks e.g. in apartment, houses, office buildings, warehouses.